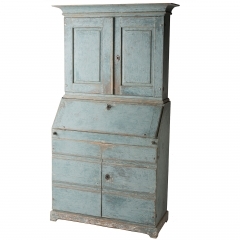 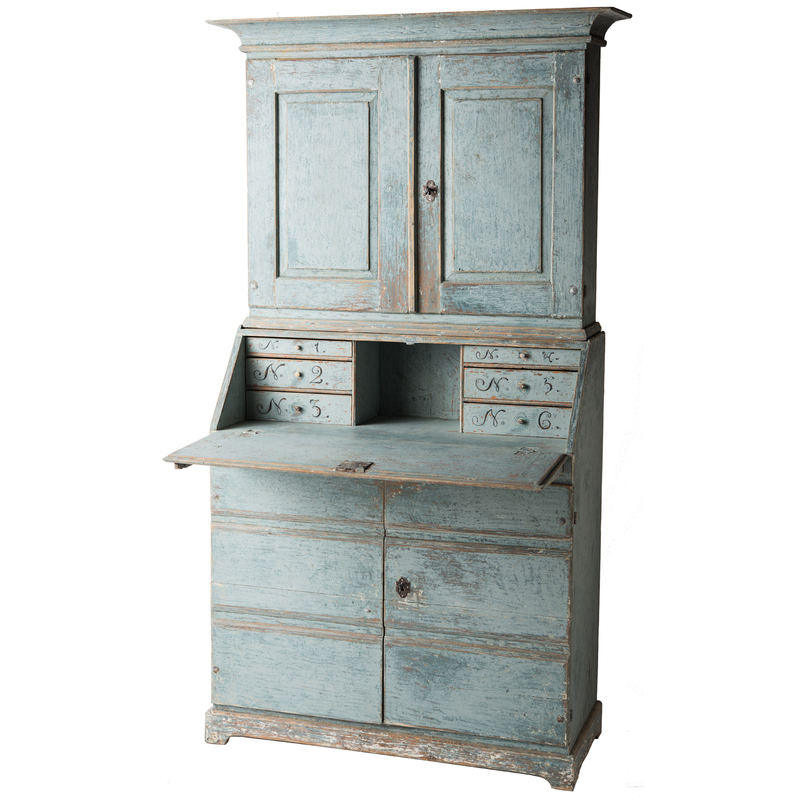 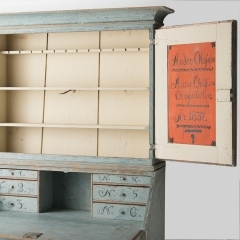 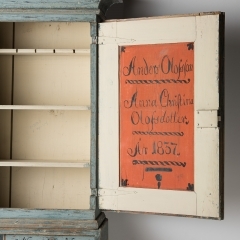 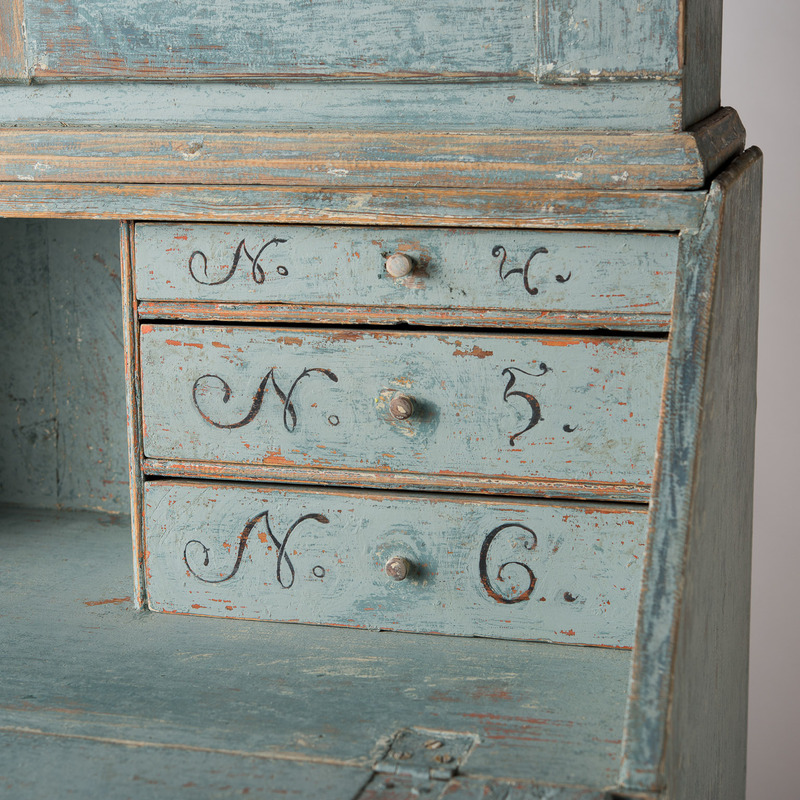 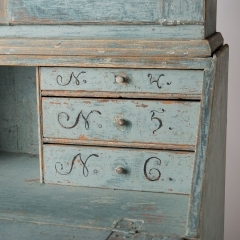 A wonderful Swedish blue, this stately secretary has a number of great details that highlight the work of a talented calligrapher. 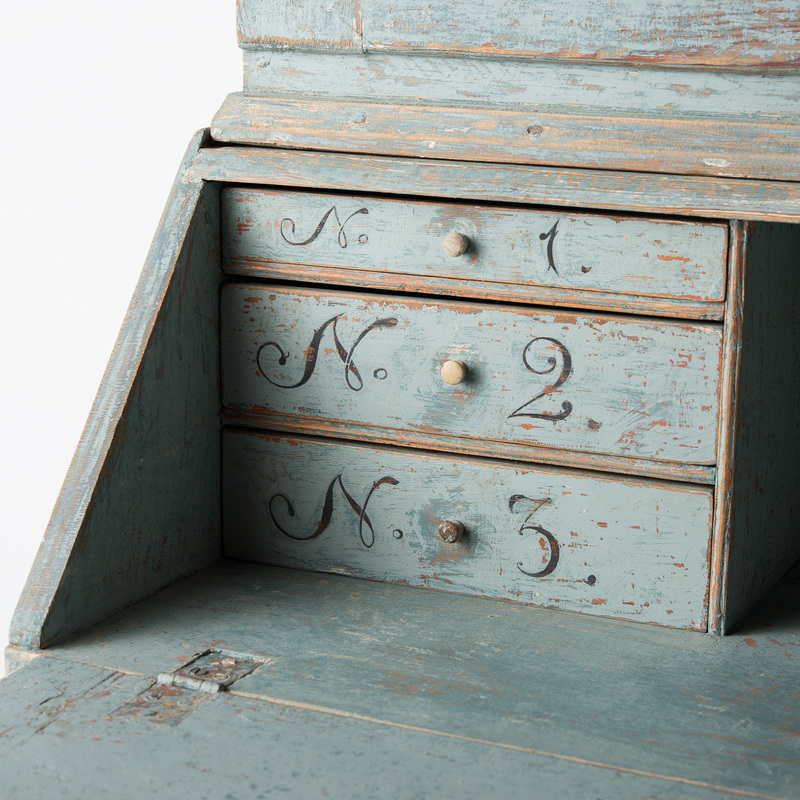 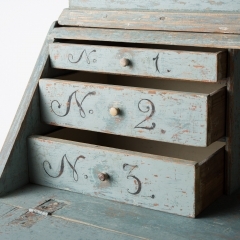 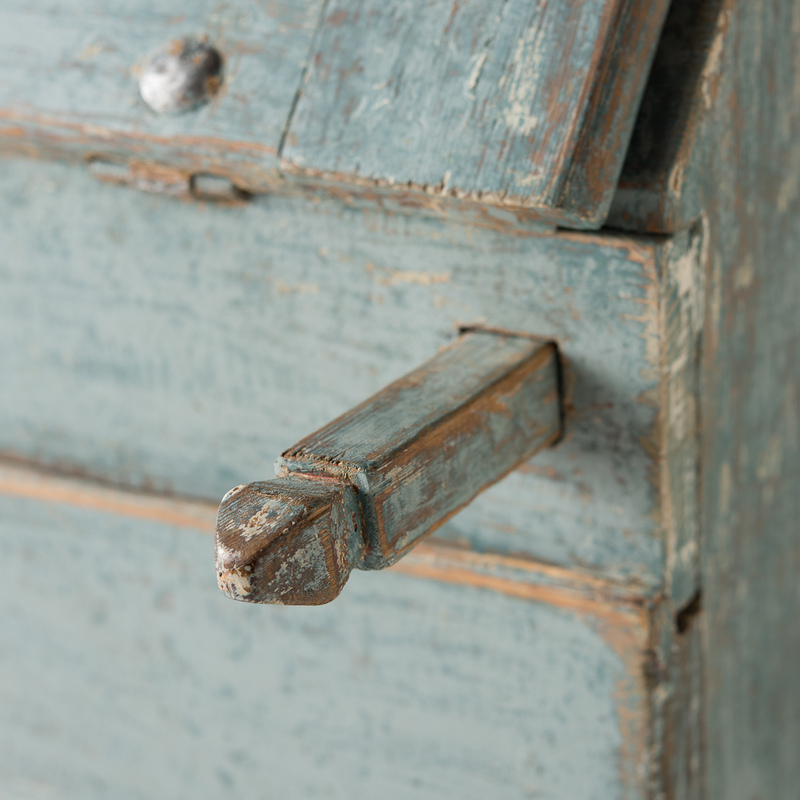 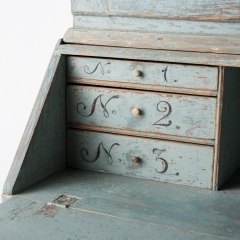 The interior drawers are beautifully numbered from one to six, a great way to stay organized in style! 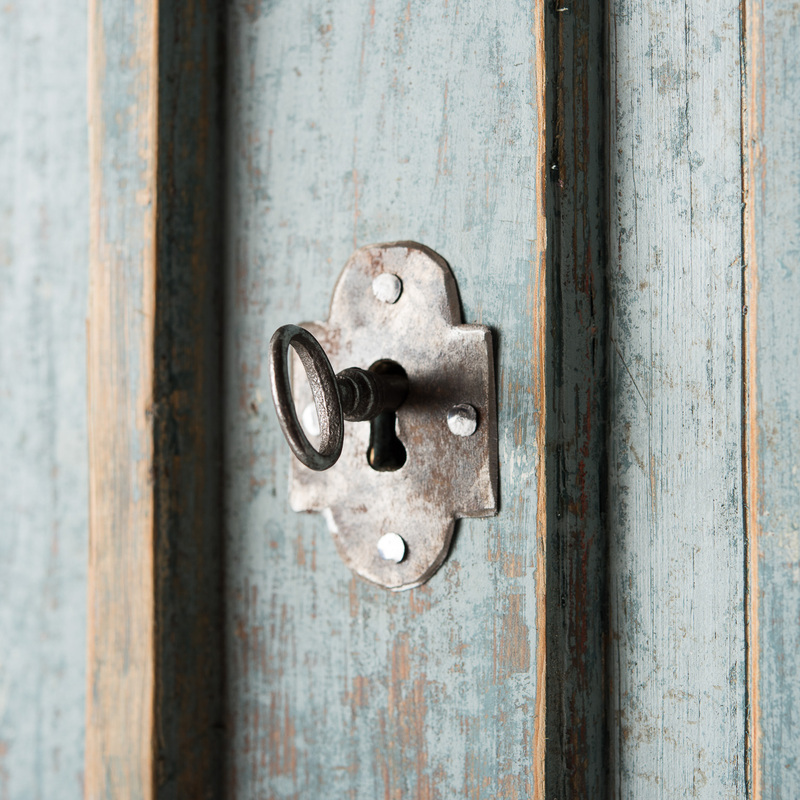 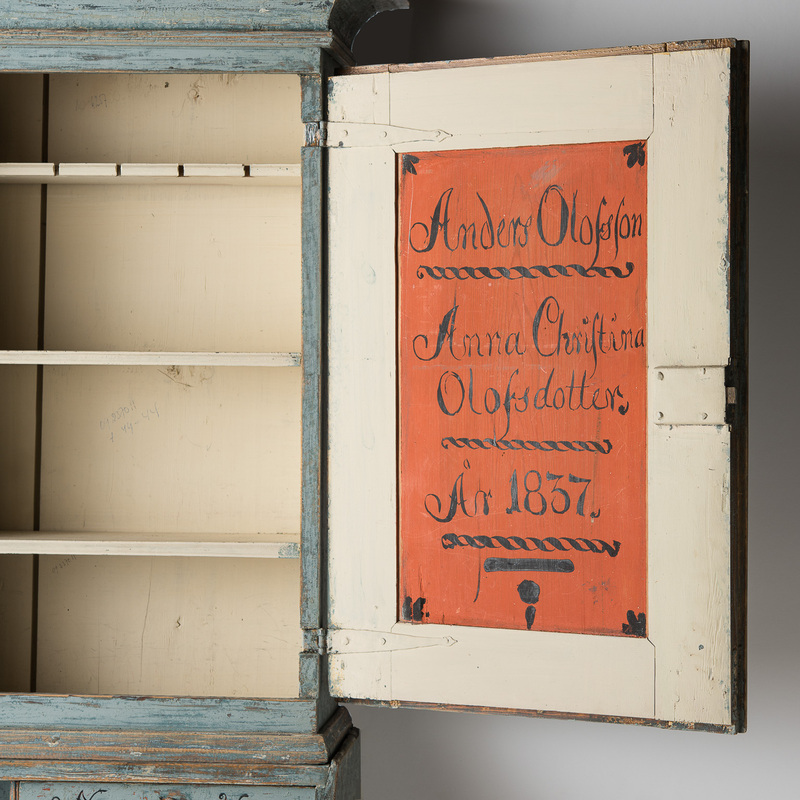 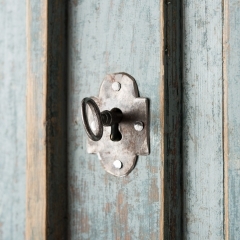 The inside of the right door tells us that the cupboard was a wedding gift to a young couple who were married in 1837. 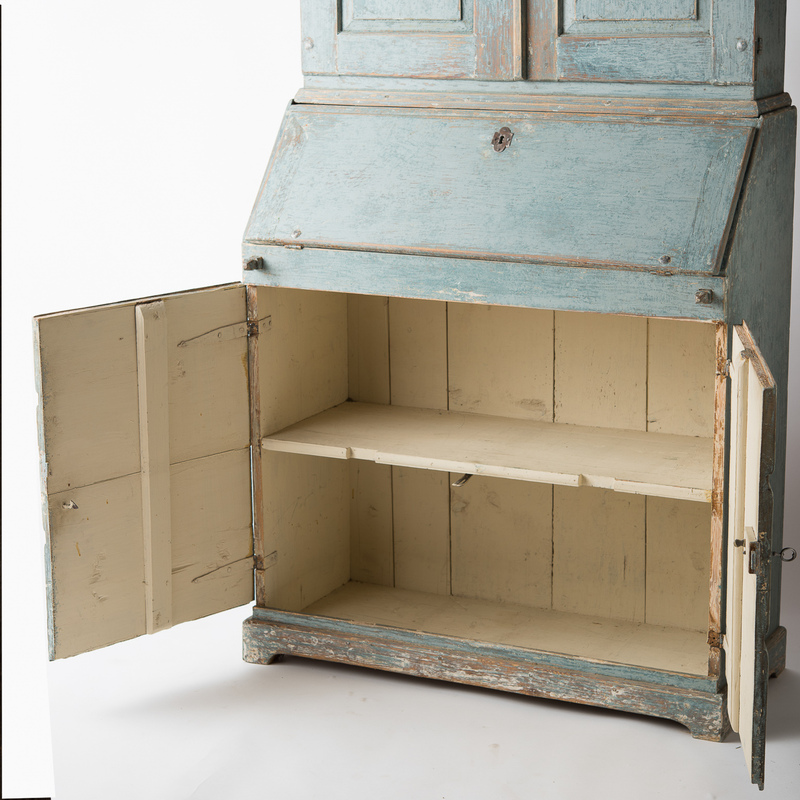 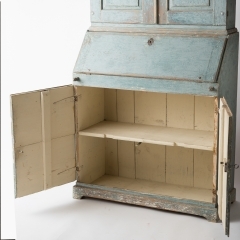 The design of the piece is elegantly simple with crown molding at the top, and two bottom doors which are made to look like drawers.